With a sterling reputation as home of the finest golf and vacation condos in Pawleys Island, guests will enjoy a first class Pawleys Island vacation at Pawleys Plantation Resort! This lowcountry paradise will charm guests with breathtaking coastal Carolina landscapes, melting your worries away and ensuring an unforgettable Pawleys Island vacation! Pawleys Plantation Resort offers a plethora of modern Pawleys Island condos, suites and large vacation townhomes that easily suit all group sizes. 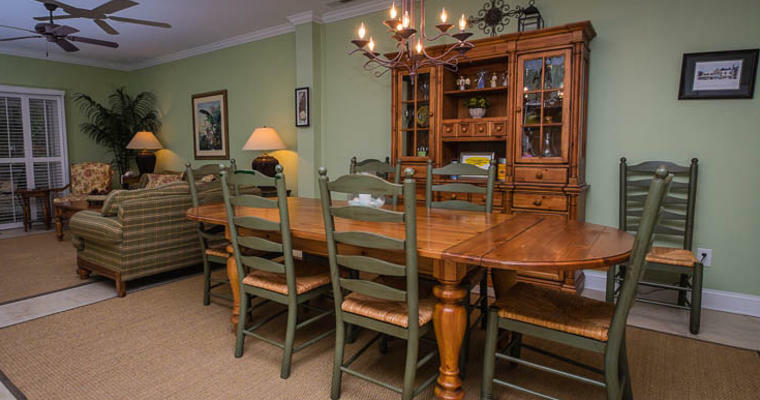 Single travelers or couples are ideally suited in the one-bedroom suites or condos, decorated in coastal fashion and featuring full kitchens, roomy living areas, multiple TVs with cable and complimentary WiFi. 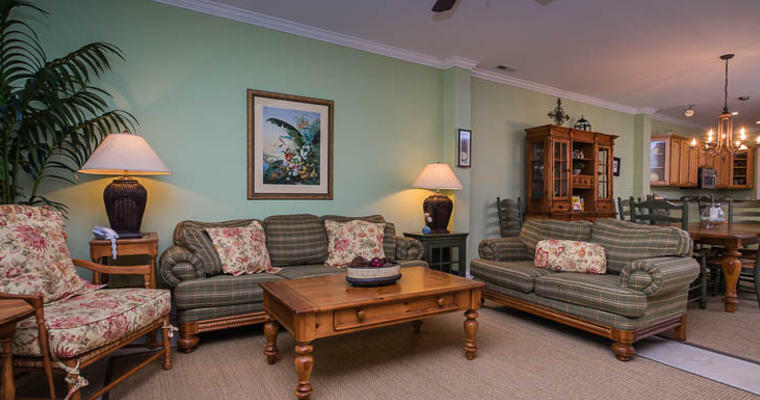 Pawleys Plantation Resort's two bedroom condos provide an excellent choice for medium size groups, with the resort's deluxe villas showcasing designer touches like fireplaces and flat-screen TV. Flexible bedding options make these Pawleys Island vacation rentals a perfect choice for golf groups. Larger groups will be wrapped in luxury in the huge three and four bedroom villas and townhomes of Pawleys Plantation Resort. These sprawling Pawleys Island vacation properties are expertly decorated and offer large living areas and screened-in porches with amazing vistas of the Pawleys Plantation golf course and tranquil lowcountry landscape. Outside your Pawleys Island condo or villa, guests are free to cool off in the resort's large outdoor pool. Pawleys Plantation Resort is renown for its world-class meeting and event facilities, and they also offer a full-service catering and event staff that can help arrange events from weddings and family reunions to golf outings and business seminars. Speaking of golf, be sure to challenge your game on the Jack Nicklaus-designed course at Pawleys Plantation, perennially ranked as one of the top golf courses along the Grand Strand. On top of first-class accommodations and amenities, guests enjoy convenient location near the most enticing destinations in the Pawleys Island area. The star of the show is always the unspoiled beaches of Pawleys Island, among the very finest along the east coast. A variety of unique boutiques and shopping venues dot the area and dozens upon dozens of local restaurants serve up fresh local seafood, steaks, burgers and virtually any cuisine that your appetite craves! Other nearby destinations to enjoy on your Pawleys Island vacation include Huntington Beach State Park, Atalaya Castle and Brookgreen Gardens, all within just a few minutes drive. If you're looking to connect with Myrtle Beach all the excitement of the Grand Strand is waiting with just a short drive north, taking you to attractions like the Myrtle Beach Boardwalk and Broadway at the Beach. You can even take a quick trip south to journey to the historic destinations of Georgetown and Charleston! Plan your next Pawleys Island vacation today with the world-class accommodations of Pawleys Plantation Resort. This remarkable coastal Carolina paradise is sure to impress you and your guests and provide memories that will last a lifetime!